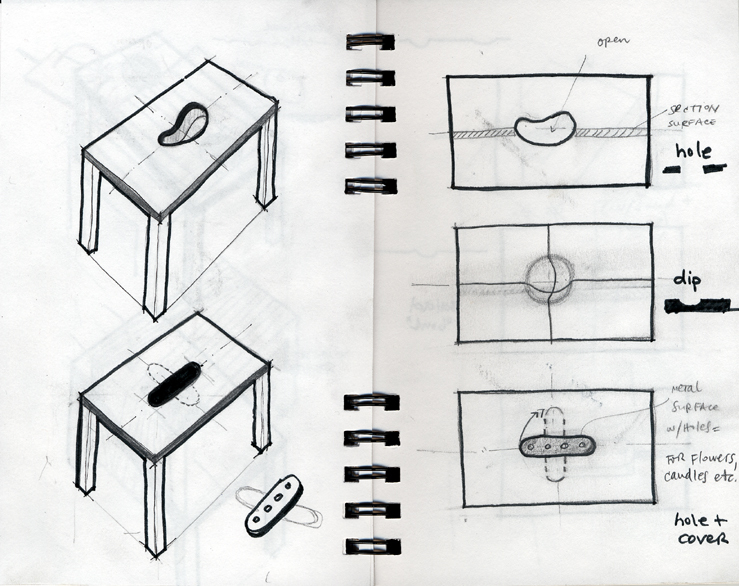 This project is also about objects we place on tables. 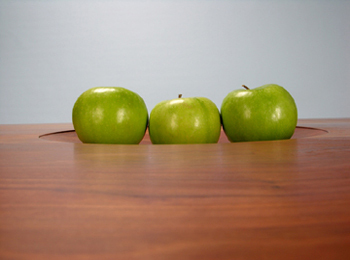 The initial idea was to use silicon as a flexible top surface on which we can even serve food. 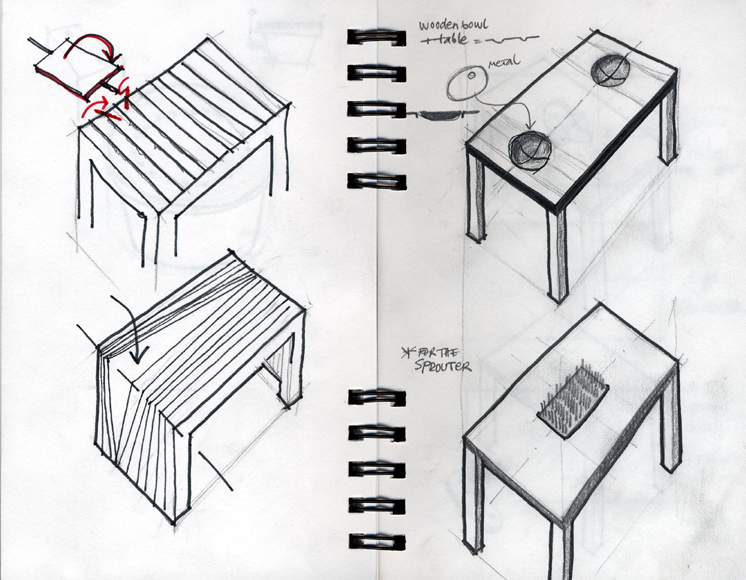 More sketching went into direction of surfaces that were carved or cut out, or added (i.e. as containers for herbs, small gardens, etc.) 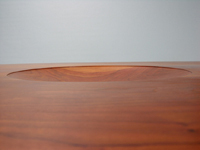 The main idea was to merge a wooden bowl with the surface of the table. The table is made of cherry wood: 2" (for the center board of the table top) and 1" (legs, skirts and side boards of table top). The legs are joined with the skirts with mortice and tenons. The pairs of legs have 1/4" aluminum pipe spacers and are joined with screws. 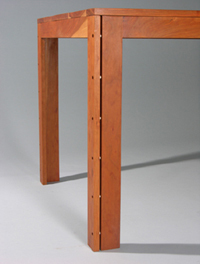 The table top is attached to the legs at 4 points (each corner). When a colleague saw the photos of the carved surface, he remembered 18th century tables from German villages with carved-out places for food, possibly because people were poor and didn't own dishes. The carving of the surface may have been result of eating food directly from the table. 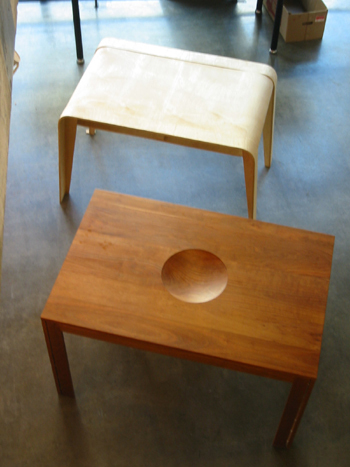 Left: The bowl was roughly carved with a CNC router. Materials: cherry wood, 1/4" aluminum pipes (for the leg details).